thanks machan !!! !ow bn lagadi wade patan gaththe.mama oya liyana ewa danawa bn. 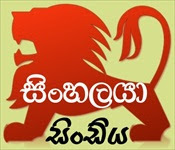 සිතින් සඳු හා බැඳුනි රහසින්..
සහෝ..settings ගිහින් posts and comments ගිහින් show word verification NO කරන්න..එතකොට කමෙන්ට් කරන්න ලේසියි..